For local school children, a popular "field trip" destination for generations. 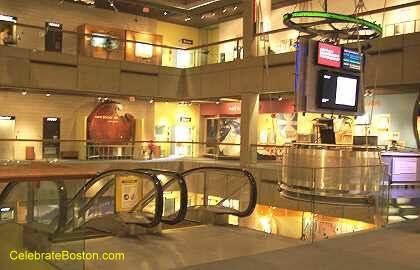 The Museum of Science is dedicated to providing interactive educational exhibits. Some of the exhibits include: Is Algae in Your Future? (energy generation), Mapping the World Around Us (historical maps), Making Models (solar system to mountains), The Computing Revolution (history), A Bird's World (simulation to bird calling), Dinosaurs (Mesozoic models), Natural Mysteries (natural history artifacts), Discovery Center (natural habitats), and Light House (visual effects). Please refer to the museum's website for a complete list of permanent exhibits and special events. The Museum of Science is a great place for primary and middle school children to learn from interactive exhibits, and to also have fun. 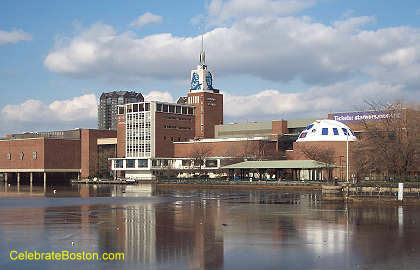 Please note the museum hosts a five-story domed Imax Theater and Planetarium, with films and events at additional fees. Of historic interest, the Museum of Science was originally established in 1830, as the Boston Society of Natural History. One of the predecessor buildings was constructed in 1864, and still stands today in the Back Bay. It is located at Boylston and Berkeley Streets. The former museum building is made of brick, with beautiful Corinthian columns. Walking Directions: Walk about 200 yards from the station over the Charles River Dam. The museum has a large white spire that is visible from the traffic circle at the base of the station.